Students will learn the differences between representational versus abstract art. They will study different abstract collage techniques that Coyle has used in her work. Students will then create their own series of abstract collages. Lesson focuses on comparing and contrasting landscapes and cityscapes. Students will learn more about Megan Coyle’s scape collages, including a few of her abstract landscapes. 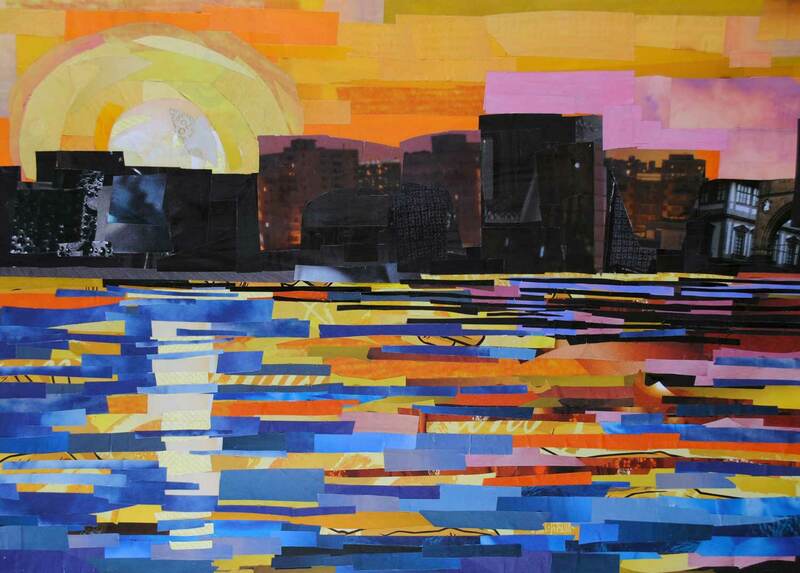 Students will also make their own landscape or cityscape collage. Students will learn about the art of making self-portraits. They will also study Megan Coyle’s collage self-portraits, and make their own collage in class.